Looking for great apps at a fraction of their regular cost? 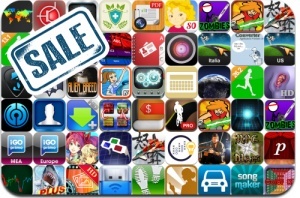 We’ve found 51 iPhone, iPad and iPod touch apps that are currently on sale. This app deal alert includes Bug Princess 2, DoDonPachi Blissful Death, Kunundrum, Extreme Fishing 2 Plus, Alien Breed, Don’t Run With a Plasma Sword, Crazy Hedgy, Hotel Dash Deluxe, StickBo Zombies, System Expert, and many others. Color Keyboard – I like colorful keyboard !